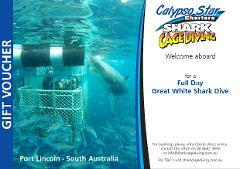 The ultimate one day marine encounter to Neptune Islands Marine Park, Port Lincoln, South Australia, giving you the opportunity to come face to face with a Great White Shark leaving you with memories that will last a lifetime! 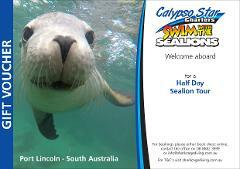 Enjoy a half day tour to Swim with the Sealions who are considered the 'Puppy dogs of the Sea' Described as one of the most interactive wildlife experiences you can do! 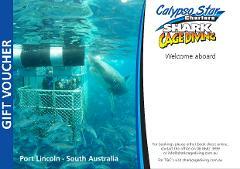 The ultimate one day marine encounter to Hopkins Island & Neptune Islands Marine Park, Port Lincoln, South Australia, giving you the opportunity to Swim with the Sea Lions and cage dive with a Great White Shark all in the same day!